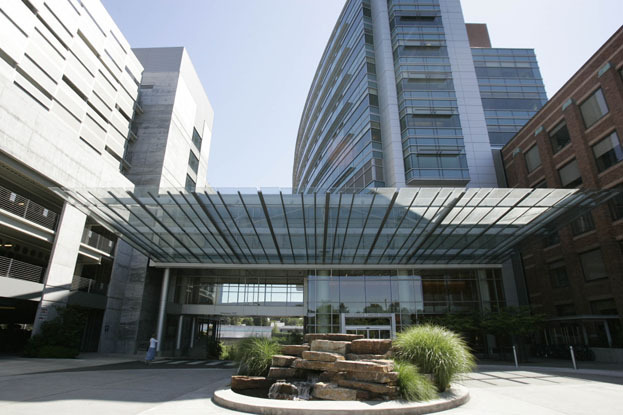 With 483 beds, the Portland Providence Cancer Center serves the most cancer patients in Oregon. Focused on cancer research, patient care, and counseling, the Center, affectionately known as the "center for hope," works with individual cancer patients, survivors, and their families to ensure the wellbeing of all parties affected by cancer by offering every comfort and healing opportunity to patients under one roof. The innovative and holistic design of the research and patient care center places the PPCC at the forefront of cancer treatment on the West Coast. Designed by architects at the Zimmer Gunsul Frasca Partnership, the 11-story building features meditation gardens, soft lighting, and light-filled interior spaces that enhance the healing environment for cancer patients and survivors. 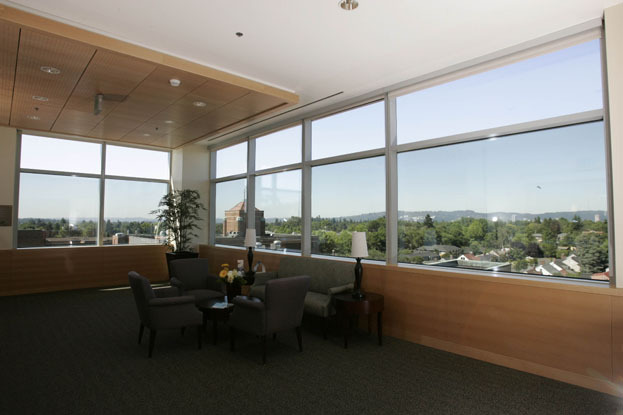 While natural light and views to the outside were an integral part of the healing environment design, architects also wanted to be able to eliminate the harsh glare associated with these building features. 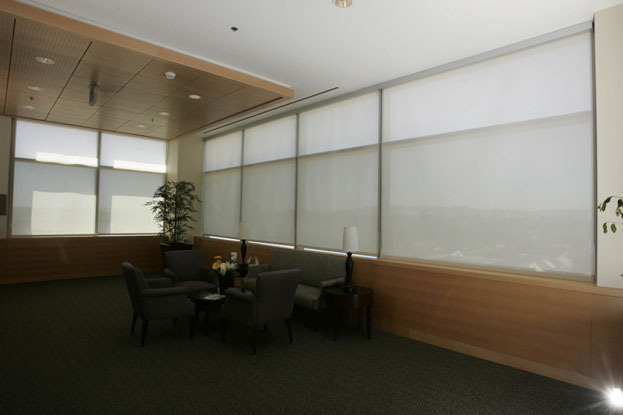 To accomplish this, they installed Roller Shades FR by Hunter Douglas Contract. 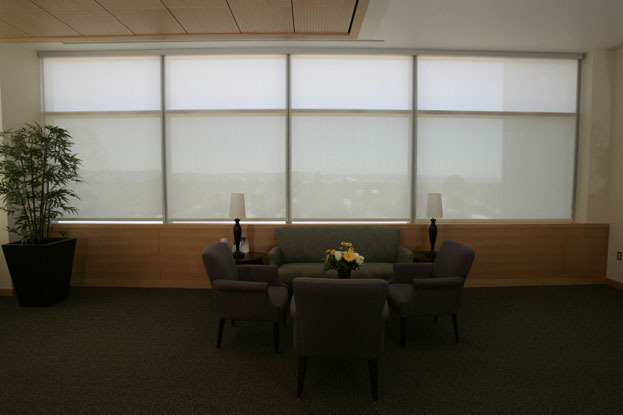 Roller Shades provide views to the outside while filtering glare, maximizing the use of natural light throughout the Cancer Center and providing a holistic healing environment for patients. In 2010, the National Cancer Institute awarded Providence Cancer Center $2.8 million to expand research and patient care, and recognized the $230 million project as one of the best community cancer facilities in the nation.